I am a registered Nutritional Therapist CNHC, registered nutritionist MBANT, accredited Functional Diagnostic Nutrition Practitioner and Health Coach, based in St John's Wood, London. My passion is to empower you to achieve peak health and wellness through a combination of personalised dietary strategies, rest, exercise, stress reduction and carefully selected nutritional supplements. My approach to Nutritional Therapy is based on the Functional Medicine Model, which seeks to address root causes of illness rather than merely managing symptoms. Intermittent fasting has been practiced throughout all of human history and is known to carry many huge health benefits, provided it is followed correctly. It is not a diet, but rather a pattern of eating, changing not what you eat but when you eat. More recently, scientific studies have shown the anti-aging benefits of intermittent fasting due to the fact that fasting induces a process called ‘autophagy’, which is a natural regeneration process at a cellular level. It is important to note that intermittent fasting may not be beneficial to everyone, particularly those on medications or with certain health conditions. It is best to consult a health practitioner before embarking on any eating programme. If you would like to try intermittent fasting download this free e-book to help you decide which type of fasting best fits into your lifestyle, tips for fasting and what to eat when you break your fast. My desire to imbue my family with the same wholesome approach to diet, lifestyle and nutrient-rich food, that was instilled in me since childhood, led me to leave my job as a lawyer and devote four years to becoming a qualified Nutritional Therapist. Please click here to learn more about me and my journey. I offer bespoke Nutritional Therapy consultations from my London clinic in St John's Wood. I work closely with clients to create a personalised health and nutrition plan, based on diet, exercise, rest, and carefully selected supplements. Please visit my consultations page to learn more and to book your free 30 minute phone consultation. Please feel free to explore my constantly expanding series of health and nutrition programmes, each of which has been designed from the ground up with a specific health goal in mind. My regular articles discuss current health and nutrition issues. I weigh up the science against the fads and the hype, to bring you informative articles that you can really use to take control of your own health. Please visit my articles page to get started. Nutritional Therapy applies nutrition science in the promotion of health. It seeks peak performance and optimum health, utilising dietary intervention where appropriate and the sensible use of dietary supplements. It supports recovery from ill health and alleviates a wide range of conditions. Nutritional Therapists and nutritionists work alongside numerous other healthcare practitioners and G.P.s, always referring a client to a medical practitioner where necessary. Nutritional Therapy can aid in the prevention of disease and it can provide support for anyone with an existing chronic condition. My London nutritional therapy consultations focus on an overall assessment of the client with questions on health issues and dietary and lifestyle habits, beginning as far back as childhood. Interactions between nutrients, food, genetics, environmental and lifestyle factors are considered. The recommended protocol is client-centred and is aimed at influencing long term health concerns. It identifies nutritional imbalances, which may be contributing towards a client’s health concerns. Protocols may include a combination of dietary recommendations, nutritional supplements, exercise, stress-management techniques and various lifestyle considerations. I am a registered Nutritional Therapist CNHC and a registered nutritionist mBANT. BANT and CNHC are registered organisations which outline the parameters in which registered Nutritional Therapists operate. The short video below gives some useful information about BANT and what you should expect from a Nutritional Therapy practitioner. What Does it Mean to be a Functional Diagnostic Nutrition® Practitioner? Functional Diagnostic Nutrition® applies general principles of health building. It works on removing interference, restoring vitality and returning the body to health. For the functional medicine practitioner, symptoms are not the problem; they are the result of the problem. Many people become caught in a cycle of 'trial and error' and functional diagnostic nutrition® practitioners aim to stop that cycle by seeking to identify underlying causes of symptoms and working on lab-guided, health building natural protocols. This is achieved by engaging clients in a committed relationship which supports each client's innate healing ability, based on the 'D.R.E.S.S. 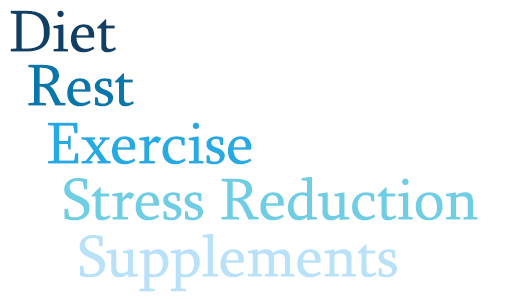 for Health Success®' model of Diet, Rest, Exercise, Stress reduction and Supplement management. Learn more about how I implement functional diagnostic nutrition® principles on my About Me page. There is a lot of confusion out there about the differing titles that nutrition professionals use. Is a nutritional therapist the same as a nutritionist? The main difference between a nutritionist and a nutritional therapist is that a practitioner does not require any specific qualifications in order to call themselves a nutritionist, while a nutritional therapist will have undergone at least three years of rigorous training in Nutritional Therapy and be registered with a professional body, such as BANT or CNHC. Many people can and do set themselves up as nutritionists without any formal training or knowledge and so it is important to always undertake a thorough background and accreditation check when seeking advice from a 'nutritionist practitioner'. The term 'registered nutritionist' indicates that a practitioner has attained a suitable level of knowledge and has been accredited by a professional body, such as UKVRN. I am a qualified and accredited nutrition therapist, but occasionally refer to myself as a 'nutritionist' in order to make this website visible to people who are unsure which term they should search for. When searching for a nutritional professional, you may also come across the term 'dietitian'. A dietitian is somebody who has completed a degree in dietetics and will normally work within the public sector as an NHS dietitian. While there are many crossovers, dietitians and nutritional therapists come under different accrediting bodies and are not the same. I am a nutrition therapist and not a dietitian.